Laura is a Health Editor in the Bupa UK Health Content Team. Before joining Bupa Laura studied biomedical science at the University of Surrey where she obtained a first class honours in her degree. 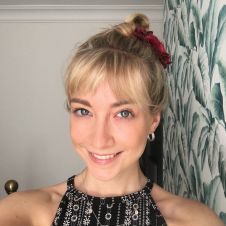 Laura is passionate about high-quality health information and much of her work at Bupa revolves around making sure content meets robust editorial standards. She lives in East London and in her spare time loves to get creative. If she hasn’t got a sketch pad and pencil in her hand, you’ll find her at a local dance class.